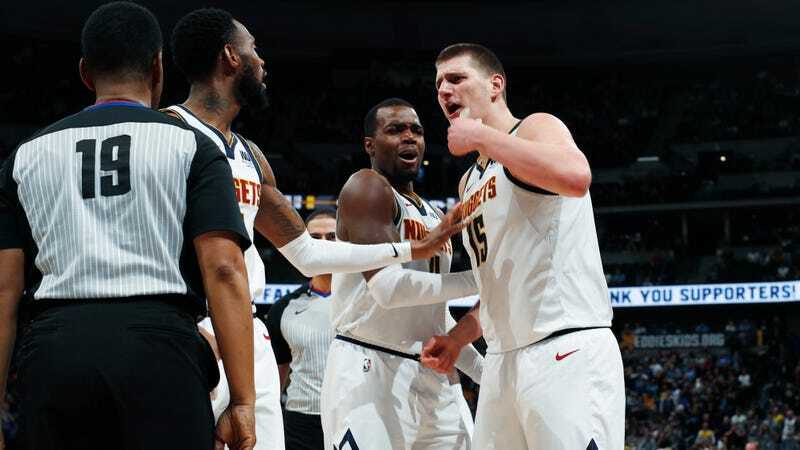 Denver’s lovable weirdo Nikola Jokic snapped on Sunday night, talking his way into an ejection late in the fourth quarter of the Nuggets’ close home loss to the Washington Wizards by getting in the face of referee James Capers over a no-call. Prior to being ejected, the big Serbian had been balling as usual, notching 23 points and 14 rebounds in 30 minutes of play. After he was sent to the locker room, though, the Nuggets collapsed against the lowly Wizards; Washington scored seven of their final nine points of the game without Denver’s star player on the court and eventually won, 95-90. Nuggets coach Michael Malone didn’t defend his player’s outburst after the game, though other members of the Jokic clan did appear ready to do so themselves. Cameras caught Jokic’s older brothers Nemanja and Strahinja jawing with Wizards players Jordan McRae and Portis as the pair of players were heading back to the locker room. Normally, you’d think fans would be wise to avoid getting into it with large, strong professional athletes, but Jokic’s rowdy brothers are an exception: Strahinja is 6-foot-6, Nemanja is 6-foot-8, and both have backgrounds in MMA. Even Portis, with his pugilistic history, probably does not want any of that. 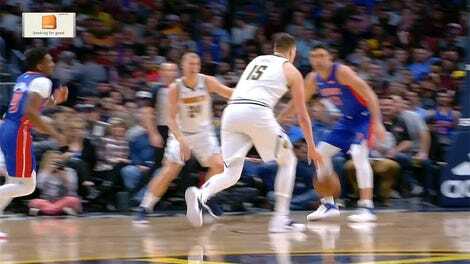 How Is Nikola Jokic Like This?